The Ansa Butterfly Sleeve Dress + Top pattern includes two variations: a feminine cocktail dress and a casual top. Both variations have bell-shaped raglan sleeves and a pretty, curved cut at the chest. The Ansa Butterfly Sleeve Dress + Top pattern includes two variations: a feminine cocktail dress and a casual top. Both variations have bell-shaped raglan sleeves and a pretty, curved cut at the chest. The dress is unlined. It has a zipper closure in the back and six waist pleats on the front. The dress is knee-length and semi-fitted. 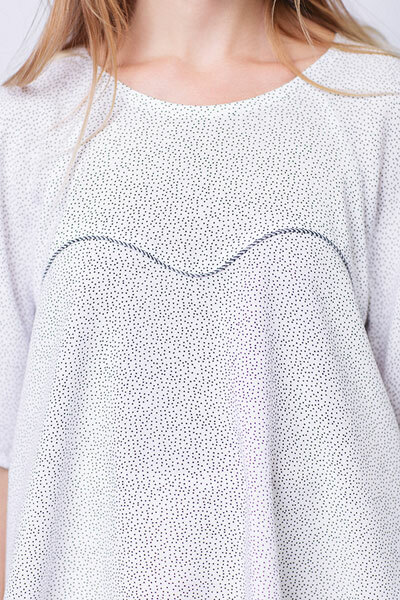 The top has a bell-shaped hem which is slightly longer in the back. 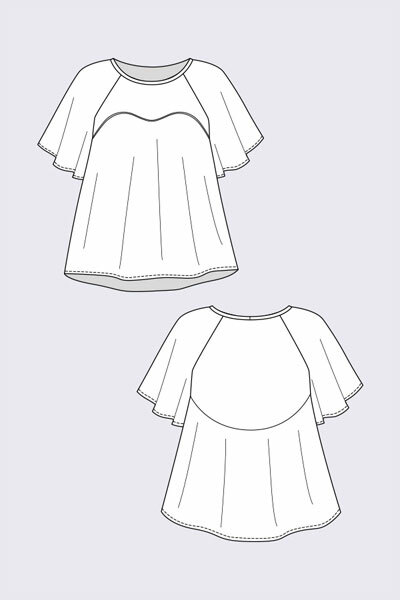 You can insert piping to either the dress or the top to emphasize the curved cut at the chest. 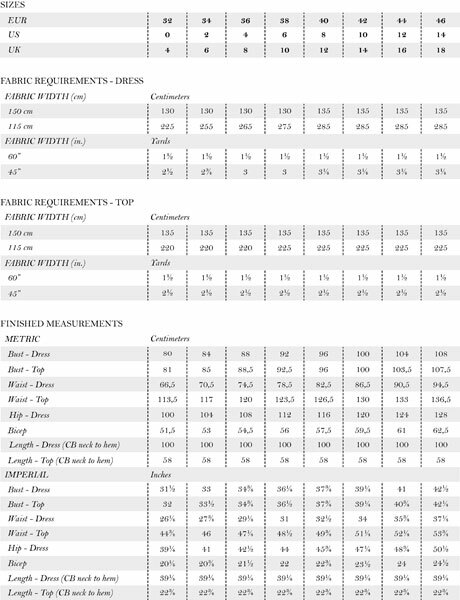 Choose a light or medium weight fabric with drape for both the dress and the top. 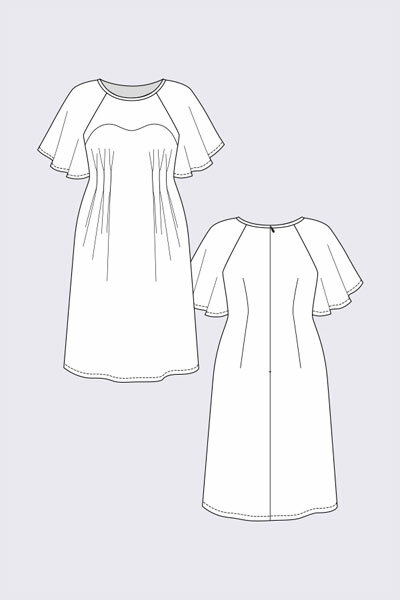 The sample dress is made of polyester crepe and the sample top is made of rayon. Fusible interfacing for the dress: 10 cm / 4"